First an apology – in a previous post on The Phraser I stated, incorrectly, that the defence of Rorke’s Drift earned the highest number of Victoria Crosses ever for a single action. I was wrong. I turned to Ken Gillings for advice. He allowed me to use the article that follows to clarify the position. Ken Gillings, posted this originally on the KwaZulu-Natal Tournet Forum. It strips down a few British military actions and lays their significance, and their medal tally, before us. I believe that with the (South African) Government’s intention to ‘professionalise’ the Tourist Guiding Industry looming on the horizon, the time has arrived to differentiate between fact and fable with regard to claims that have been made about two Battles that were fought in KwaZulu-Natal, namely Isandlwana and Rorke’s Drift. Battlefield Guides will need to decide if they are military history enthusiasts or story-tellers. 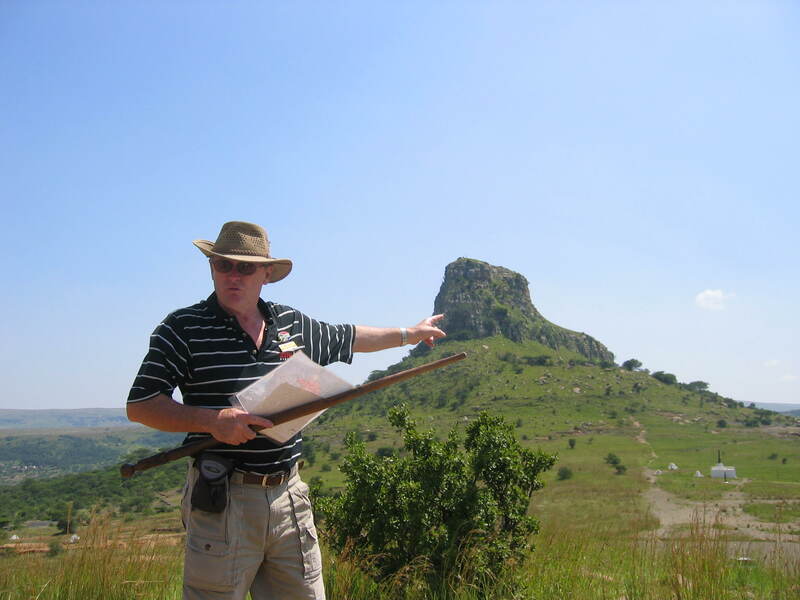 Several Tourist Guides continue to describe the Battle of Isandlwana as Britain’s worst defeat in its Colonial history. This is debatable. On the 6th January 1842, during the 1st Afghan War, a force under the command of General William Elphinstone commenced a retreat from Kabul via the Khoord Kabul Pass. It consisted of 700 Europeans, 2 000 Bengal Native Infantry, 250 Bengal Cavalry, 1 150 Irregular Horse and Shah Shujah’s Levy. They were accompanied by approximately 12 000 followers, as well as women and children. Two days later, after a series of organisational mishaps, this force was attacked by the Afghans led by Akbar Khan in the Khoord Kabul Pass, while en route to Jellalabad. Over 3 000 were killed, as were most of the followers. The force virtually ceased to exist. The dying Gen Elphinstone gave himself up to Akbar Khan but managed to smuggle out a message to the remnants of his force (comprising mainly the 44th Regiment of Foot) urging them to make a run for it. The remaining 200 or so soldiers did so the same night, with Captain Souter winding the Colours around his waist and they made their final stand at Gandamak on the 13th January 1842. Only Souter and a small group of his officers were taken prisoner; the rest were killed. The only survivor to reach Major General Sir Robert Sale’s Brigade at Jellalabad was Dr William Brydon. Gen Elphinstone died in captivity. During the Battle of Isandlwana on the 22nd January 1879, the Central Column of the British Army lost about 1357 officers, NCOs and men – both Regular and Colonial soldiers – which is substantially fewer than at Gandamak (as the above incident is referred to). The only likely technicality about this debate is that Afghanistan was ruled by Britain for three years afterwards, but by the same token Zululand (like Afghanistan) was invaded by the British and incorporated into Natal after the Anglo-Zulu War. But then there is another Battle that was fought during Britain’s Colonial history. This was from the 8th to the 15th February 1942 during WW2 when Japan attacked the British military base on the island of Singapore and took 80 000 British, Indian and Australian soldiers prisoner of war. Thousands of these men died in Japanese hands, after suffering indescribable cruelty by their captors. There were far more deaths with the Fall of Singapore than there were at Gandamak or at Isandlwana. It is important to realise that Singapore was a British Colony. This makes Isandlwana number 3 in the ‘biggest defeat in her Colonial history’ stakes. There are two more hardy annuals about Rorke’s Drift which also need to be dealt with. The first is the totally incorrect description of events unfolding at the present buildings at Rorke’s Drift and the second is the claim that the Defence of Rorke’s Drift resulted in the highest number of Victoria Crosses being awarded for a single action. I’d like to deal with the first matter first. After the battle on the 22nd / 23rd January 1879, all the buildings (including the cook-house) were demolished and their material was used for the construction of Fort Melvill overlooking the main pontoon crossing point on the Mzinyathi River (it is still clearly visible on the Natal bank) and Fort Bromhead (at the post). Some of the stones from the commissariat store may have been used in the subsequent construction of the church in 1881, but by far the majority was used to build the forts. The present building was constructed after the battle, is slightly larger than the original and is situated 5 yards (4.57 metres) further back. The late George Buntting (the original owner of Fugitives’ Drift, whose family grew up in the area) used to hammer this home to visitors to the site and this was confirmed when the archaeological survey was made of the battlefield in the late 1970s. One of the quadrants was left open and is visible in the museum. The glass panel on the inside wall indicating the type of brick that was used to reconstruct the mission house is probably responsible for sowing a certain amount of confusion, but it is mischievous to walk around the building claiming that this person did this or that at this very room when they most certainly didn’t. Finally, I’d like to deal with the claim that the Defence of Rorke’s Drift resulted in the highest number of VCs being awarded in a single action. How does one define a ‘single action’? Lucknow, Inkerman and Sebastopol were massive battles and Inkerman was fought exclusively on the 5th November 1854, so that was definitely a ‘single action’. At Gallipoli, six VCs were won by men from the Lancashire Fusiliers at the landing on W Beach while six were awarded to ‘Jack Tar – the Nation’s Handiman’ (men of the Royal Navy) on V Beach. In my opinion, therefore, Rorke’s Drift should be placed at No 5 on the VC stakes. I am quite prepared to concede, however, that the Defence of Rorke’s Drift saw the largest number of VCs being awarded to a SINGLE REGIMENT (in this case the 2 / 24th) in a single action. As South African battlefield tourism become more popular with overseas and local visitors – in fact the Authorities have apparently overlooked the fact the Rorke’s Drift has become a tourist icon in South Africa – those visitors will include people who are not just tourists. Many of them are well read military historians who are likely to embarrass a tourist guide who makes claims that are simply not true or which need to be qualified. Ken Gillings, 4th April 2013. Biography – Ken Gillings has undertaken extensive research into South African battlefields, especially those in KwaZulu-Natal. He co-edited ‘The War Memoirs of Commandant Ludwig Krause’; and is the author of ‘The Battle of the Thukela Heights’, now revised as ‘While they Kept the Flag Flying – The Relief of Ladysmith’; and ‘Battles of KwaZulu-Natal’, which is in its fifth edition. He is an acclaimed South African battlefield guide and has been affiliated with the following organisations: The South African Military History Society; the South African National Society; the Ladysmith Historical Society (of which he is a founder life member); the KwaZulu-Natal Heritage Foundation; and the National Monuments Commission’s War Graves and Graves of Conflict Committee. He chaired the KwaZulu-Natal Regional Committee for the Commemoration of the Centenary of the Anglo-Boer War. Ken Gillings died suddenly in December 2016. We shall not forget his friendship, his knowledge, his enthusiasm, and his love for South Africa. This link is to an obituary by the Anglo Zulu War Historical Society – there were many others. This entry was posted in Viewpoint and tagged fall of Singapore, Gandamak, greatest number of VCs, Isandlwana, Ken Gillings, Rorke's Drift. Bookmark the permalink.